For the first time ever, Steve will perform the seminal Genesis album Selling England By The Pound in its entirety. Released in 1973, the album went to No. 3 in the UK charts and has been described as “the definitive Genesis album.” It includes firm favourites such as Dancing with the Moonlit Knight, Firth of Fifth, Cinema Show and, of course, I Know What I Like (In Your Wardrobe). Other favourite classic Genesis tracks will also feature in the show. 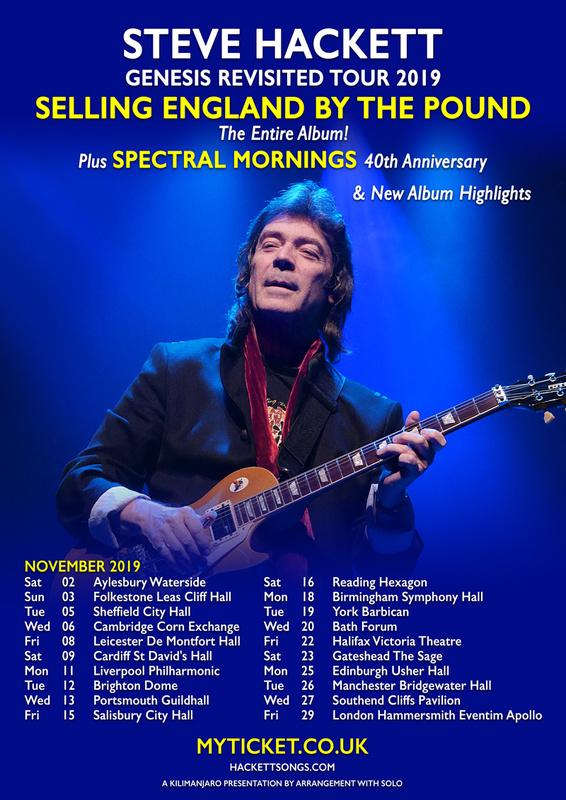 Fans will also be treated to highlights from Steves new album, to be released in 2019. Tickets available from https://myticket.co.uk/ and venue box offices. Joining Steve on the tour are his regular musicians Roger King (keyboards), Jonas Reingold (bass), Gary O’Toole (drums/percussion), Rob Townsend (saxes/flutes) with Nad Sylvan on vocals. 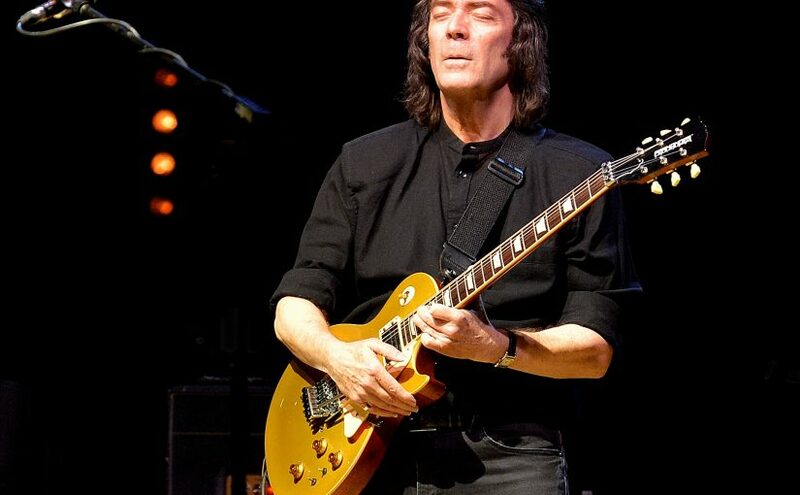 Hackett was lead guitarist with Genesis as part of their classic line up with Gabriel, Collins, Banks and Rutherford, who produced several of the band’s most acclaimed albums including Selling England by the Pound and The Lamb Lies Down on Broadway. 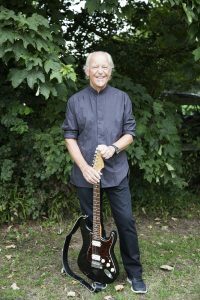 Steve’s music is as popular as ever, his last two album releases Wolflight in 2015 and last year’s The Night Siren both went straight into the Top 40 of the UK album charts, proving that Steve’s amazing compositions and virtuoso playing continue to delight. 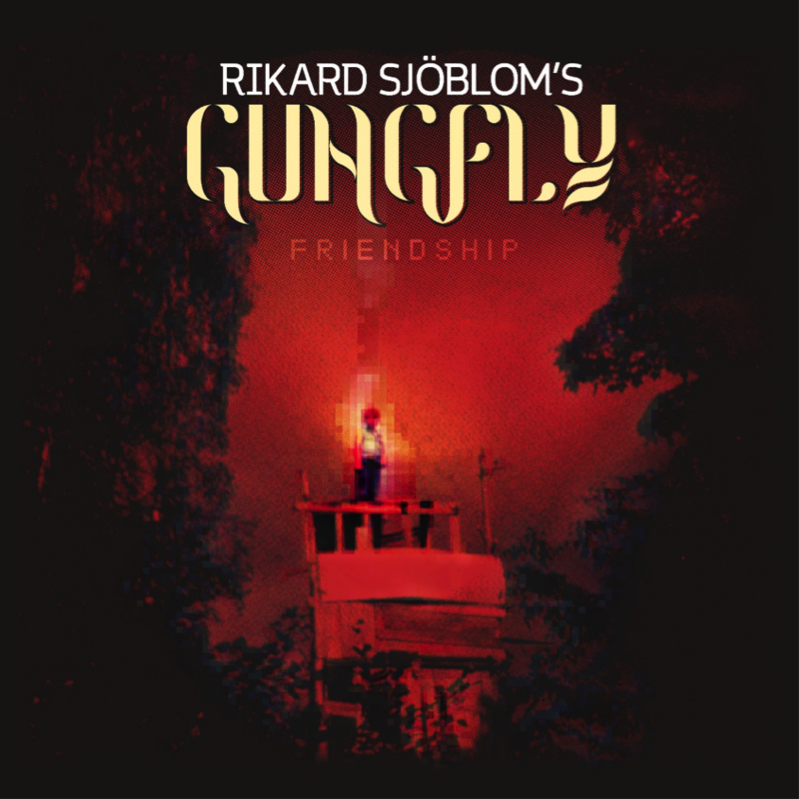 Rikard Sjöblom’s Gungfly recently announced the release of ‘Friendship’, their brand new studio album, due out on November 9th, 2018. Following the release of 2017’s ‘On Her Journey To The Sun’, as well as 2018’s retrospective 5CD collection ‘Rumbling Box’, the band masterminded by former Beardfish frontman & current Big Big Train member Rikard Sjöblom. 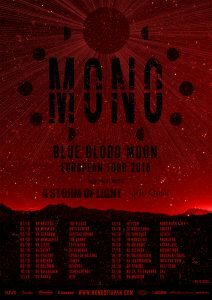 We will hold a release party at Boston-Cafe in Lyon, FR on November-14 where the video will be displayed on the big screens while the band plays a short special concert. in the pure tradition of the 70’s classic rock hits. 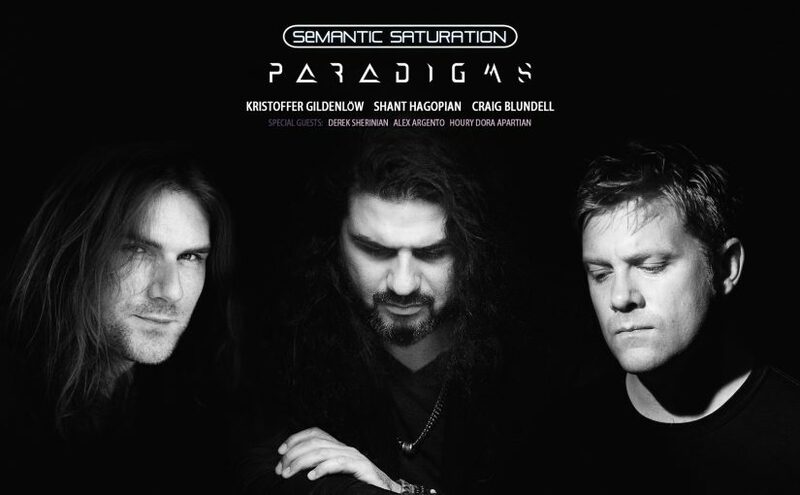 PARADIGMS is released in physical formats, CD and Vinyl on August 20, 2018, featured on the album are drummer Craig Blundell (Frost*/Steven Wilson) and bassist Kristoffer Gildenlöw (ex-Pain of Salvation), and guest musicians, Derek Sherinian on “Ulterior Harmony”, Alex Argento on “Carousel of Death” and the lovely jazz vocalist Houry Dora Apartian on “Empty Whisky Jar”. Semantic Saturation’s PARADIGMS promises Progressive Metal fans and old school rockers alike, one hell of a stellar journey into infinite realms of mind blowing musical structures and spellbinding melodies. 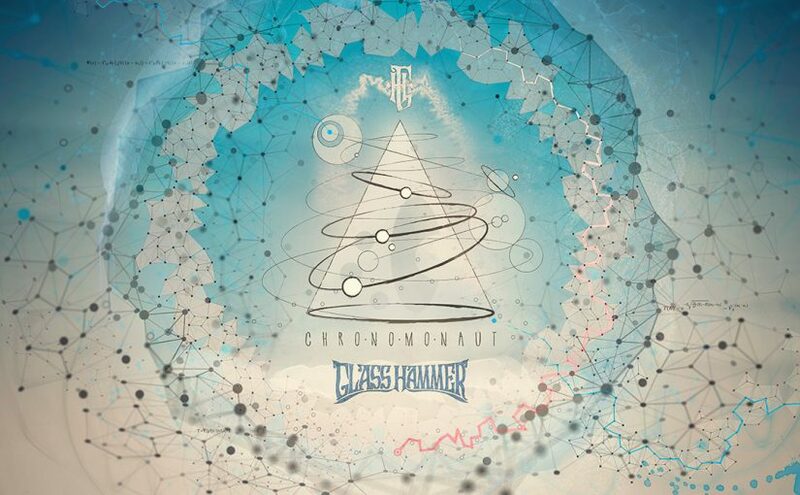 Glass Hammer premiers their Melancholy Holiday video from the new concept album ‘Chronomonaut’. 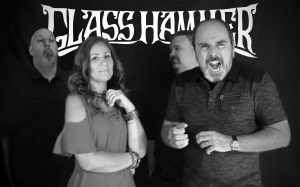 Longtime Glass Hammer vocalist Susie Bogdanowicz sings this track, though Discipline front-man Matthew Parmenter also provides some lead vocals on ‘Chronomonaut’. 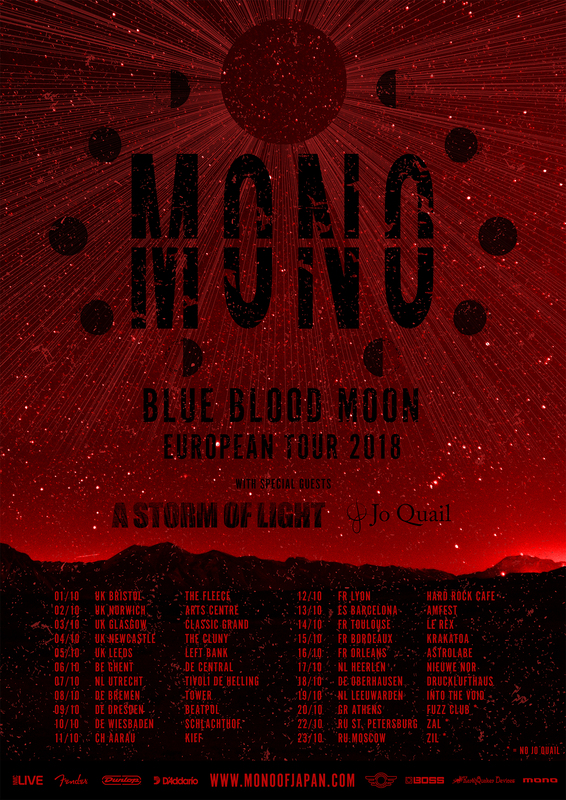 MONO are building towards the January release of their new album as well as next year’s 20th anniversary tour with a run of Europe dates in October. 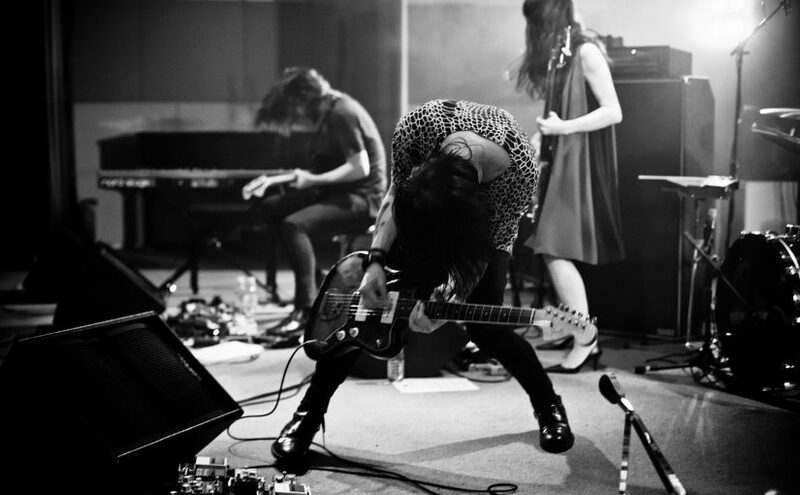 The band has recently finished working on the new record with Steve Albini and new drummer Dahm. The first single “After You Comes The Flood” will be released this September. 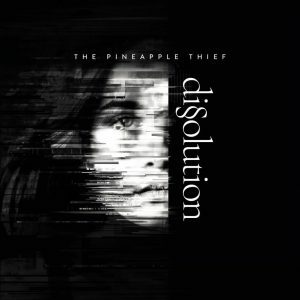 The Pineapple Thief have launched their brand new video for “Try As I Might”, the new single from their forthcoming new studio album Dissolution. 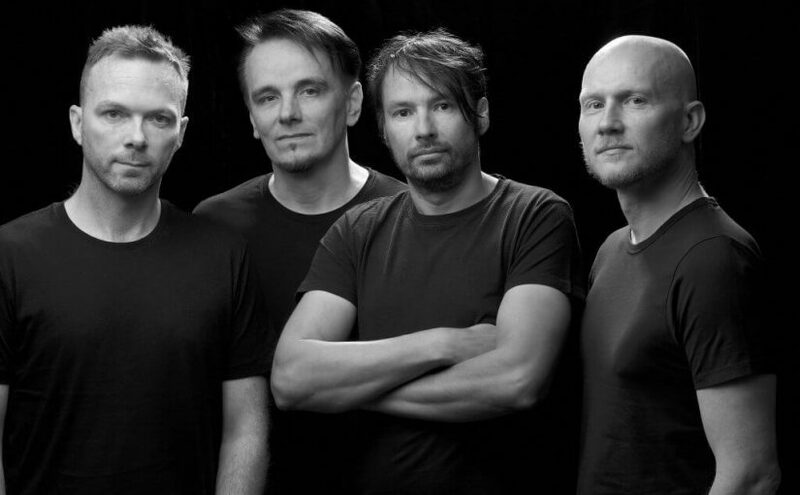 The highly anticipated follow up to 2015’s Your Wilderness, is the band’s second album to feature King Crimson and Porcupine Tree drummer Gavin Harrison. 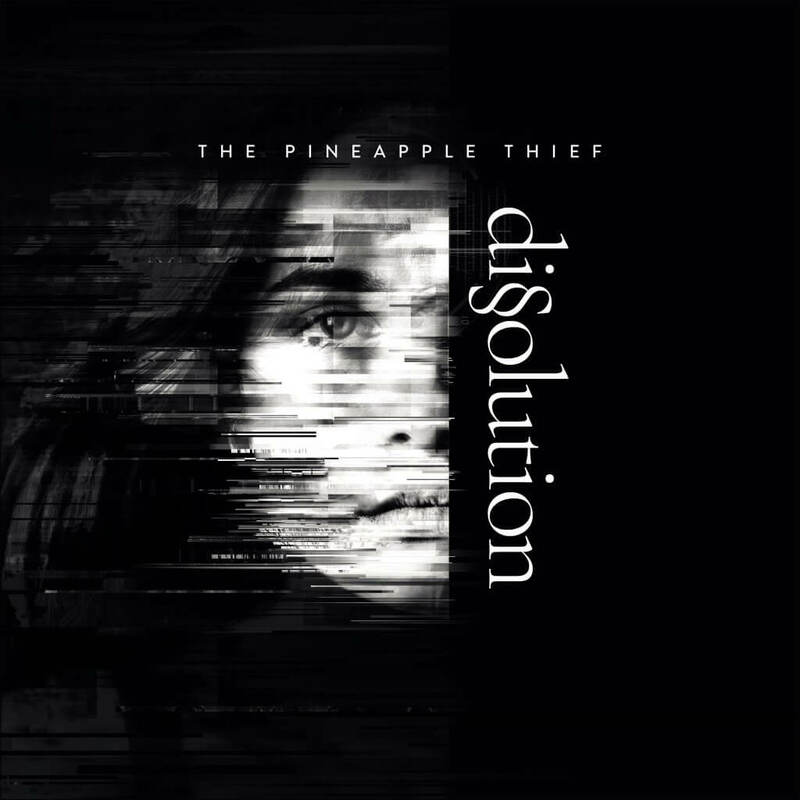 The futuristic clip was created by Blacktide Phonic/Visual (www.black-tide.co.uk) director George Laycock, who expands on how he created the film “When The Pineapple Thief came to me with their track ‘Try as I might’, they had a broad basis for an idea for a music video that dealt with a social media obsessed ‘connected’ world. This had nods to previous films and television like ‘The Truman Show’, ‘Black Mirror’, the ‘Big Brother’ landscape and its preceding shows, so it was about creating a storyline using these broad influences and encapsulating into an obscure 3 minute film on a budget. I was interested in the concept of ‘in eye cameras’, scary technology I am sure isn’t too far away from us. We decided to go down the optical medical route and follow our character on a journey from first pre-operation, to surgery, recovery and then trying to battle the decision he has made, whilst battling with the corporation he has signed up too. The film hopefully leaves the viewer to create their own conceptions on his outcome. We filmed it all on the Dorset/Devon coastline around where I live and were fortunate to be able to secure great locations to shoot in with a few favours, including a remote seaside post-modern house, a private beach and a real working hospital and opticians. To keep the cast down to a minimum I decided that the camera that is watching Bruce would become the main supporting actor and his nemesis, appearing in scenes without anyone operating it. This allowed us to see the cameras point of view and tell the story to the fictional viewer. This old broadcast camera weighed an absolute ton, and carrying through remote woods, down a mile-long steep cliff path to a beach was a challenge on some of the hottest days of the year. Filming in the water at the end was a welcome refreshment. The Pineapple Thief have grown to become one of the leading lights of Europe’s experimental rock domain, Your Wilderness produced 4m+ album streams, a #7 in the UK Independent Charts and two extensive headline European tours culminating at London’s Islington Assembly Hall where the concert was recorded for the live release Where We Stood, and their new album Dissolution promises to propel the band to even greater heights. 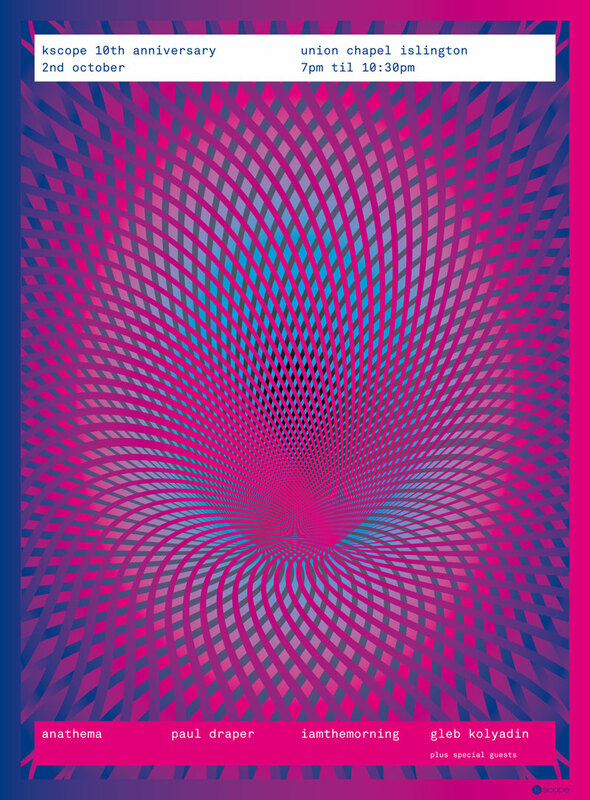 Deluxe 4 disc edition – features 52 pages containing exclusive additional artwork, the original album on CD plus a second CD of bonus music, and is topped off with a DVD and Blu-ray featuring the album and bonus material in a 24/96 DTS-HD MA 5.1 surround sound mix and 24/96 hi-res stereo audio. We are incredibly excited and proud to be celebrating our first decade as a record label. These past 10 years have allowed us to share and promote our favourite music, which has evolved over multiple genres whilst remaining fiercely adventurous. We kick-off the year’s revelries with an intimate acoustic show in our hometown, London, at the unique and iconic Union Chapel. 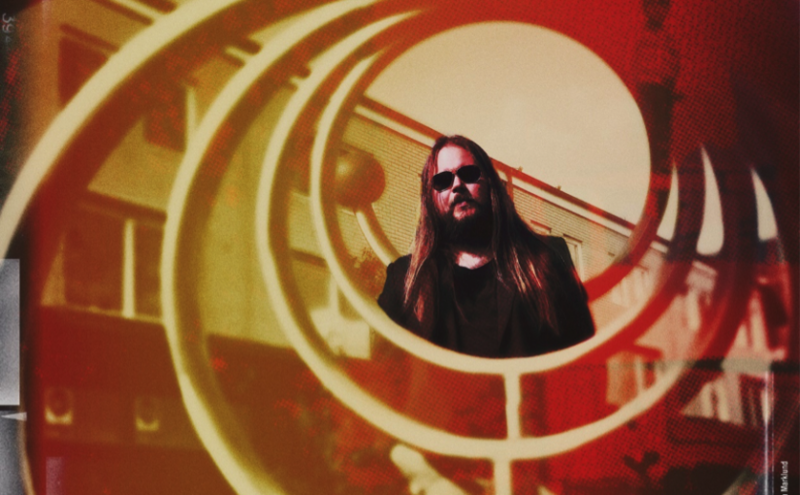 Our story began in May 2008 with the partnership between Steven Wilson and Tim Bowness as No-Man and their beautiful, haunting and cinematic album Schoolyard Ghosts. 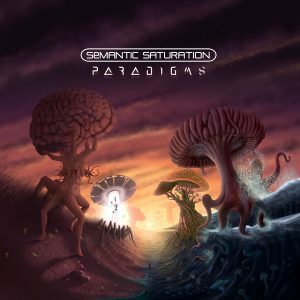 The label’s sound has since been constantly evolving through some truly brilliant and emotively powerful early projects from the likes of Anathema, Porcupine Tree, Engineers, Richard Barbieri, Gazpacho, Nordic Giants, Nosound and The Pineapple Thief, as well as Steven Wilson’s solo material and collaboration with Aviv Geffen as Blackfield. 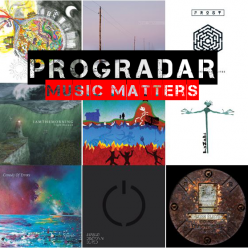 In recent years the roster has grown to include a broader selection of talent, from the soaring dynamics of TesseracT, to the revenge-pop from The Anchoress, from the heart-breaking catharsis from Lunatic Soul to the electronica legacy of the great Tangerine Dream. Anathema, following the release of 2017’s The Optimist, continually evolved by placing hope in the future – from leaving the underground scene they were fundamental in establishing to continually mesmerising the world with stargazing post-progressive alternative rock that knows no borders. Anathema will be performing additional dates as part of their Ambient Acoustic tour in France, the Netherlands and the UK. For full details, see their website. Learn more about Anathema via their artist page. 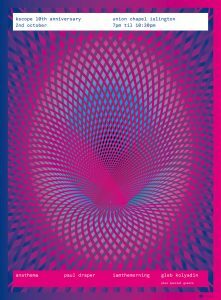 Paul Draper, one of British rock’s most singular and distinctive voices of the iconic 90s band Mansun, has returned with a top-20 debut solo album Spooky Action (“A properly fantastic album, ★★★★★” Record Collector). Learn more via Paul’s artist page. 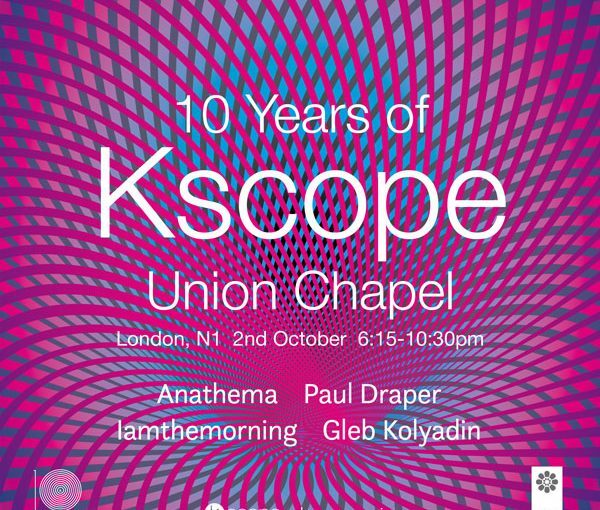 Iamthemorning, the progressive chamber duo, Gleb Kolyadin and Marjana Semkina, formed in St. Petersburg and have released two albums of rich and eclectic music on Kscope, Belighted and Lighthouse, that showcase their brilliance as pianist and vocalist. Their latest studio film and soundtrack, Ocean Sounds, is due for release mid-October. Martin Barre, best-known as guitarist in Jethro Tull – one of the biggest selling prog bands of all time, releases his new solo album Roads Less Travelled on Garage Records on 31st August 2018. 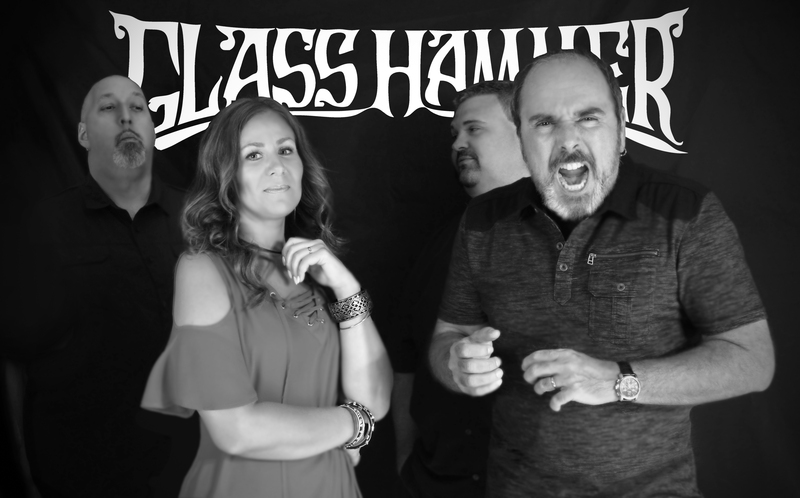 Dan Crisp (vocals), Alan Thompson (bass/fretless bass), Darby Todd (drums), Becca Langsford (vocals/backing vocals), Josiah J (Percussion/Hammond), Aaron Graham (drums), Alex Hart (vocals/backing vocals) Buster Cottam (‘stand up’ bass). Barre was the guitarist for rock band Jethro Tull from 1969 – 2012. Jethro Tull have sold an estimated 60 million albums worldwide, with 11 gold and 5 platinum albums among them and were described by Rolling Stone as “one of the most commercially successful progressive rock bands”. Barre appeared on all but their debut album during his 33 year stint with Tull and is the longest-serving member after Ian Anderson. For four decades, Barre’s career focused on Jethro Tull but in the 1990s Barre began to perform as a solo artist and has since released 7 solo studio albums. 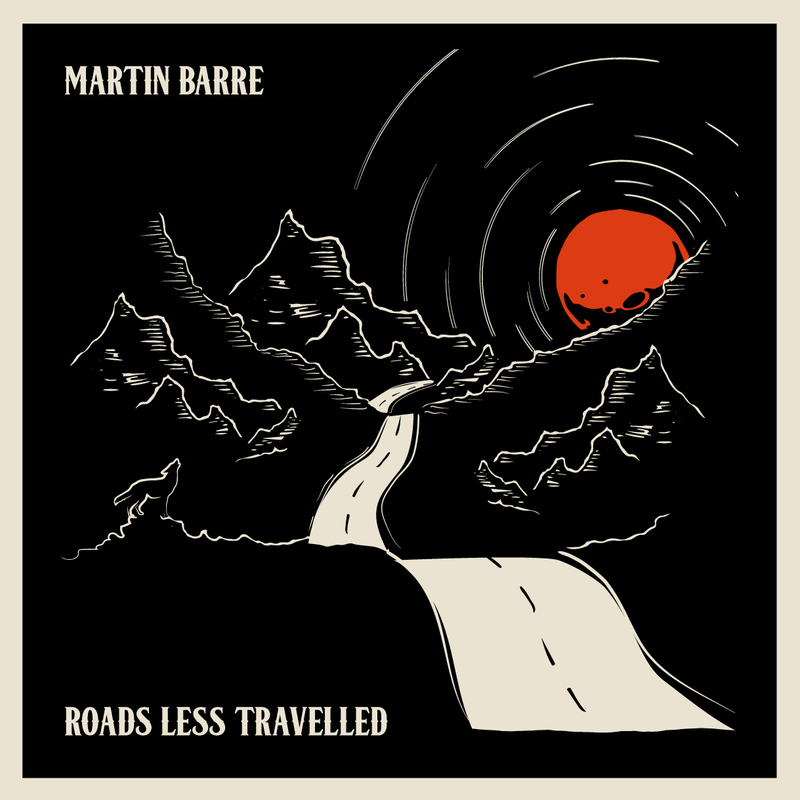 On these recordings, Barre combined rock and guitar-oriented fusion in his sound. 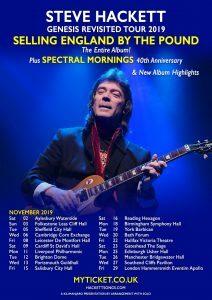 Martin’s guitar playing has earned him a high level of respect and recognition; he was voted 25th best solo ever in the USA and 20th best solo ever in the UK for his playing on ‘Aqualung’. His playing on the album ‘Crest of a Knave’ earned him a Grammy award in 1988. 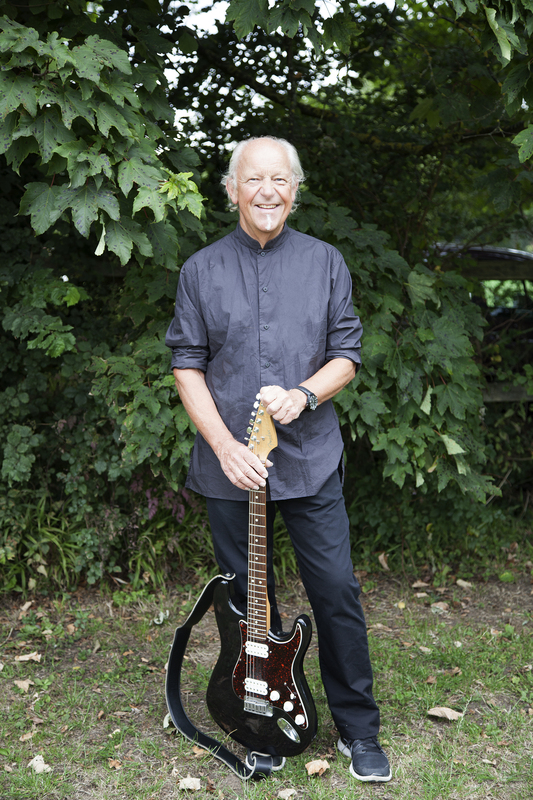 In addition to his Jethro Tull and solo work, Martin has worked live with many other artists including: Paul McCartney, Phil Collins, Gary Moore, Jo Bonamassa and Chris Thompson and has shared a stage with such legends as Hendrix, Fleetwood Mac, Pink Floyd and Led Zeppelin. RIVERSIDE – Reveal “Wasteland” album artwork and first release details! 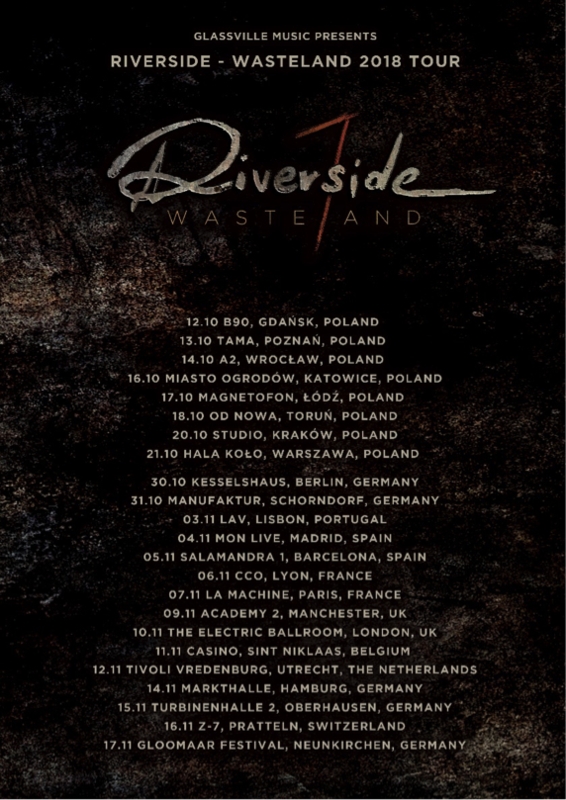 Polish Rock masters RIVERSIDE are pleased to announce that their upcoming seventh studio album ‘Wasteland’ will be released via their longtime label partner InsideOutMusic on September 28th, 2018. 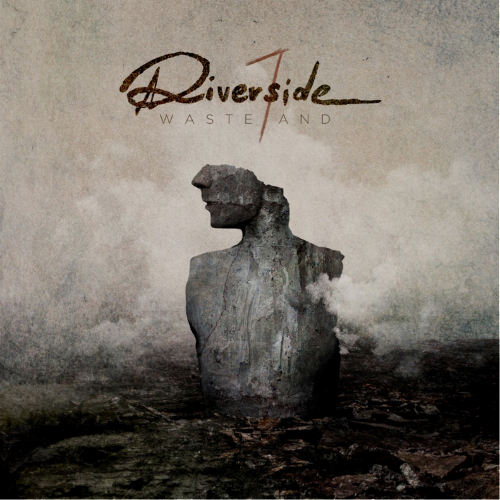 RIVERSIDE’s “Wasteland” marks the first studio album effort with newly composed music after the tragic passing of founding member and guitarist Piotr Grudziński on February 21st, 2016. 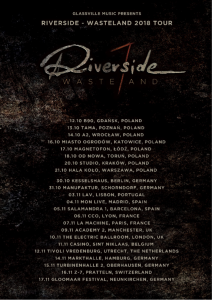 Posted on 17th July 2018 17th July 2018 Categories General News, Gigs/Tour News, New album releases, NewsTags InsideOut Music, Mariusz Duda, Progradar, Riverside, WastelandLeave a comment on RIVERSIDE – Reveal “Wasteland” album artwork and first release details!